ELC - English | New options for further study! ELC has always been known as a high quality option for direct entry into selected colleges and universities. We are now happy to announce that students have more options than ever! We are very excited to be working with TAFE NSW. 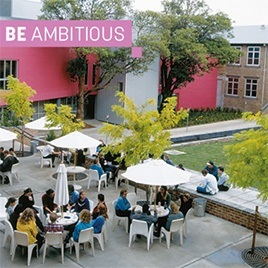 TAFE NSW is the largest education and training provider in Australia. It offers more than 300 courses across 130 locations throughout the state, welcoming 500,000 students each year. Its extensive range of courses and qualifications include certificates, diplomas, graduate diplomas and higher education degrees. Our new package agreement means that students can apply for an ELC course + a TAFE NSW course on one student visa! For more information about our further study options, see our website or contact us today.